Posted by Marek Jakimiuk on April 22nd, 2017 . It is a box-shadow visualisation. When box-shadow property is added to our CSS, we can see a “double square” icon. After clicking on this icon we will see a menu with all box shadow properties witch can be changed by moving the sliders. We can instantly see the effect on the screen. There is a way to save your work directly from browser. To make it possible we need to add folder/file to our workspace. Just open devTools then switch to Sources tab. On the left side of the menu, you will see a files list. Find your folder, then right-click on it and select “add folder to workspace”. Select proper project folder and allow chrome to use it. Now on our files list, we have a newly added folder – since now we can save any changes to this folder directly from browser. It’s very interesting tool that allows user to see what is underneath of “complex” tag. Best example of that kind of element is input[“range”]. 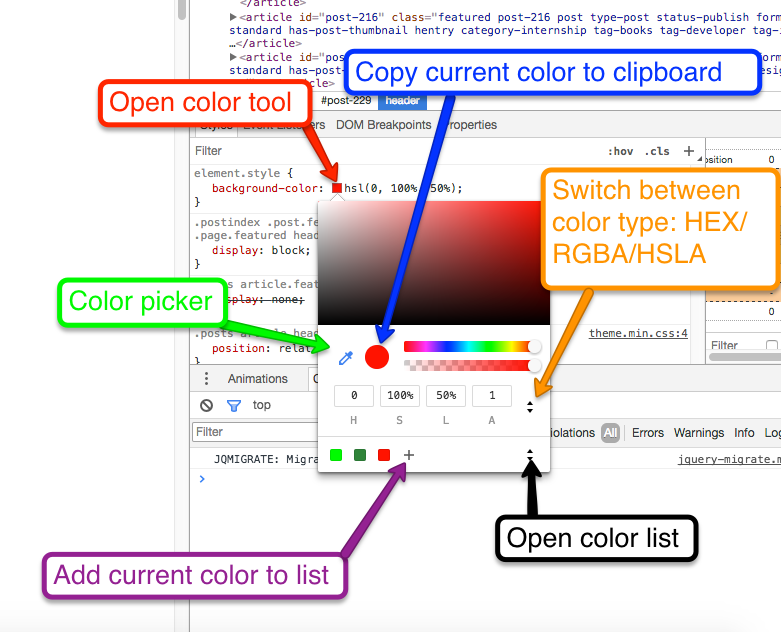 By using this command we enable editing HTML in very simple way. All tags start to behave similarly to inputs. We just click and write whatever you want to test how the element behaves with a lot of content.